Backorders are an existing feature that allows you to sell products that are out of stock in the warehouse when you create an order. You can display the available products for backorders as In Stock, or using a customized message such as Available in ‘X’ days. Backorders are available in Sales > Backorders. Backorders can be planned or unplanned but in all cases the customer will be informed of the waiting period. 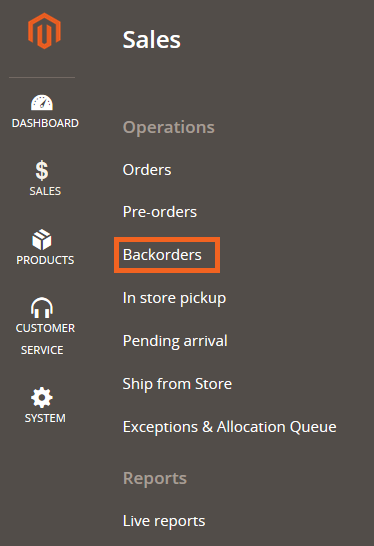 For more information on backorders, check the Backorders page in Special Order Types. If the backordered item is part of an order with other items, the available items are shipped and only the line in backorder stays on hold until the stock becomes available. Items backordered and cancelled by Option client SKU.